Earthquakes can happen in Vancouver, British Columbia. Fires and severe storms, too. 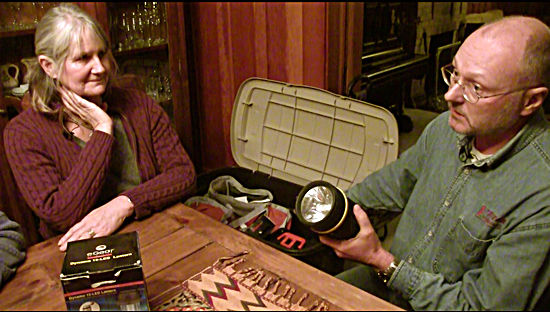 Ann Pacey and Tim Beale are ready for whatever may come − whether they need to evacuate or live in place. Their camping gear is the foundation for their preparedness gear. Brilliant! 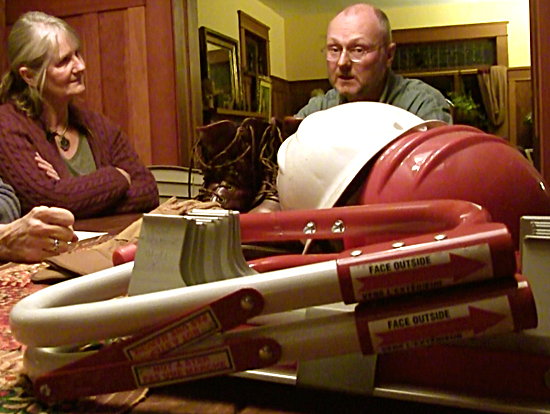 Tim and Ann pulled out some of their big wheeled tubs for a show-and-tell video session. Besides sleeping bags, tent, rain gear, chairs, and kitchenware, they have several forms of cooking and lighting appliances (plus fuel). Not to mention communication devices and their batteries, as well as a battery-less hand-cranked radio. Redundancy is one of the essential principles. In addition to the camping gear, there are tubs of canned and packaged food, and containers of potable water. There are plastic bags and folding toilet seat for human waste. 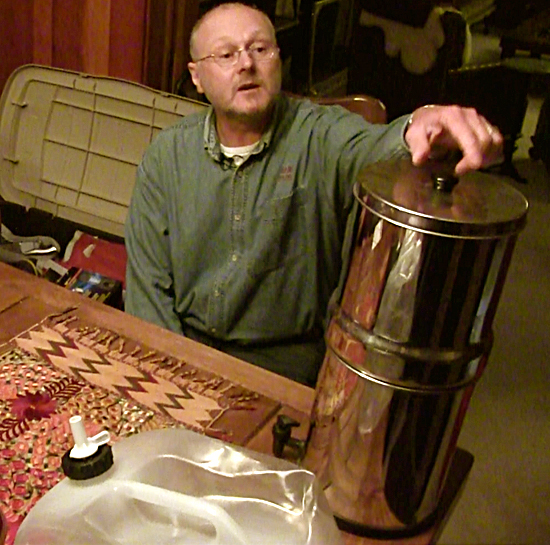 I was especially interested in the water filters, ranging from a small folding backpack model to a large Berkey unit capable of filtering even sewage [photo below]. What happens if something prevents them from exiting downstairs from their second-story home? Out on the balcony are boots, tools, hardhats, and a fold-up fire escape ladder that can be used from their balcony [photo below]. This is a family who are prepared for an emergency. But they’re not stopping there. Ann is working on neighborhood preparedness − together learning where gas and electrical shutoffs are, assessing special needs (like pets, elderly or handicapped), plus access to tools and personal skills that can be drawn on if needed. I hope more people take their lead, from household to neighborhood.